Sadly, not all fertility treatments result in a healthy pregnancy and when implantation has failed or a confirmed pregnancy has ended in a miscarriage, understandably this is an incredibly devastating experience for a couple. 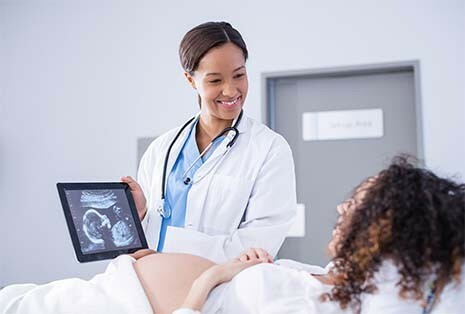 In most instances, when an IVF treatment cycle has been unsuccessful or when a woman has suffered a miscarriage in a natural pregnancy, the cause may be related to embryo quality but this is not true of all cases; as uterine receptivity, maternal immunology and sperm DNA can also be contributing factors. At IVF London, we specialise in the care and support for couples who have suffered an unsuccessful IVF treatment or miscarriage. Our objective in this instance is clear: to provide a diagnosis through comprehensive screening processes and propose a tailored treatment pathway, unique to your own clinical history and/or family genetics to resolve any problems and help you realise your dream. Through our combined expertise and dedication – we will help you understand what could be going wrong, provide you with answers and create a personalised treatment plan to assist you with overcoming any potential obstacles. We can conduct investigations to find out whether there are any particular cells (known as Natural Killer cells) within your immune system which may be leading to a rejection in pregnancy. Female hormones have an impact on fertility and when left undiagnosed, can leave women at increased risk of miscarriage and may even lead to problems with foetal development. Understanding how your hormonal profile can impact the likelihood of success allows us to decide on an appropriate treatment plan. We may recommend hormonal tests including ANA (used detect the presence of any autoimmune disorders) or TSH (to diagnose Hyper- or hypothyroidism) before deciding on the most appropriate course of treatment for you. When you are pregnant, your baby inherits your chromosomal make-up, half from the mother and half from the father. If any abnormalities are present, this may lead to problems with foetal development and can lead to a pregnancy loss. Through a sequence of specialised genetic screening investigations, such as PGD, PGS or Karyotyping, we can check for any undiagnosed/hereditary abnormalities or conditions in both partners and seek to exclude these using a dedicated treatment plan. Some women may fail to carry a pregnancy to term because their uterine environment is not favorable owing to a variety of conditions. These can be assessed by visualisation of the uterus using a Hysteroscope, which is commonly used to investigate period problems, irregular bleeding or subfertility. We can easily detect any conditions inside the womb; such as abnormality of the womb lining (endometrium), polyps, fibroids and adhesions ie: scar tissue and advise the best course of action to help improve your uterine health. Problems with the blood vessels that supply the placenta can lead to a miscarriage, particularly if the blood clots (coagulates) more than it should. In this instances, we can arrange a test known as a Thrombotic risk profile to assess the condition and advise a suitable treatment pathway. Where an autoimmune response has been diagnosed, treatment in the form of immune modulators such as intralipids and steroids may be advised by your consultant. A lack of synchronisation between the embryo being transferred and your endometrial receptivity is one of the causes of recurring implantation failure. An assessment of your uterine lining to test the best time for an embryo transfer is beneficial. Also known as aneuploidy screening, this is an early method of screening for any chromosomal abnormalities within a developing embryo, ensuring only unaffected embryos are transferred. Performing this procedure to the endometrial lining can change the way that regenerates, making it more receptive to an implantation when undergoing an embryo transfer. An Embryoscope™ time-lapse system allows us to monitor the developing embryos throughout the full course of their development without removing them from a stable incubated environment. If you have a question about recurrent miscarriages or a failed IVF treatment, or wish to discuss screening options and treatment, speak to our team on 0333 987 4347 or book a consultation with our specialist.